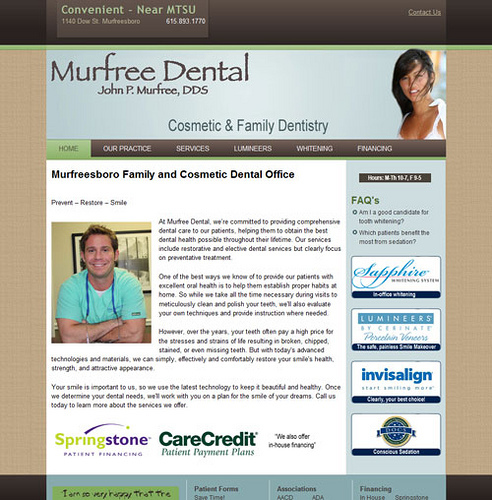 Dr. Brian Riel and Dr. Robbie Taylor needed a website for their dental practice, and we were glad to oblige. 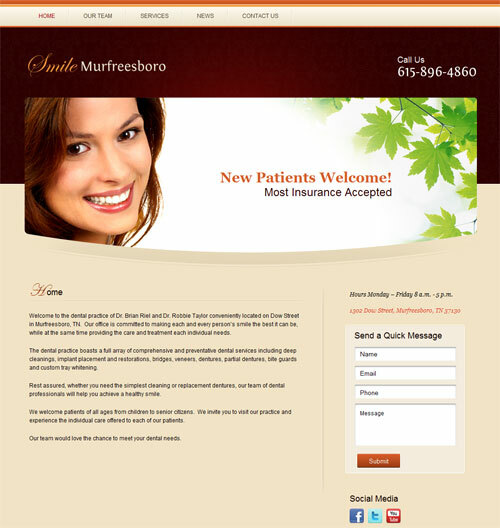 The dental practice boasts a full array of comprehensive and preventative dental services including deep cleanings, implant placement and restorations, bridges, veneers, dentures, partial dentures, bite guards and custom tray whitening. 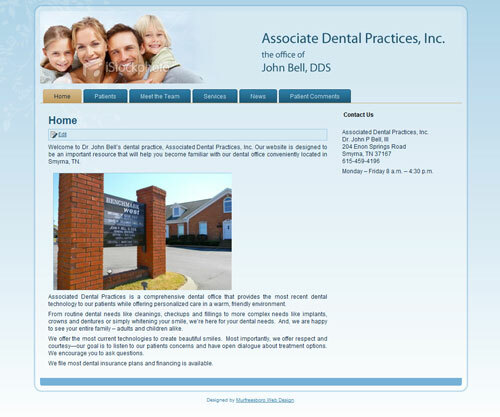 Associated Dental Practices is a comprehensive dental office that provides the most recent dental technology to our patients while offering personalized care in a warm, friendly environment. 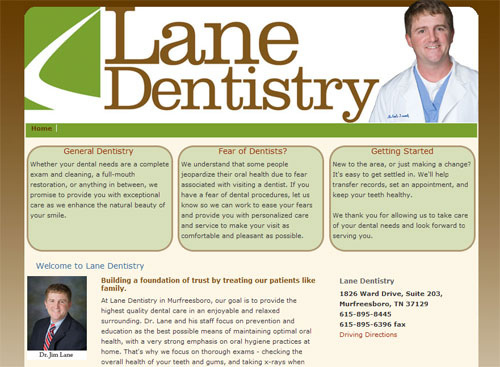 Dr. Ed Lane’s requirements were simple – not too fancy, comfortable earth tones, and just the basics. We aim to please!